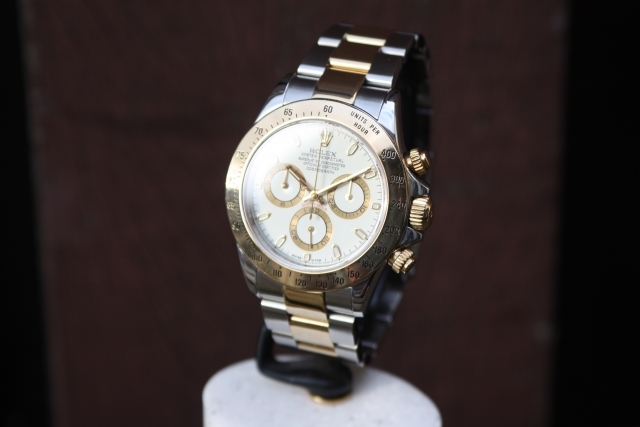 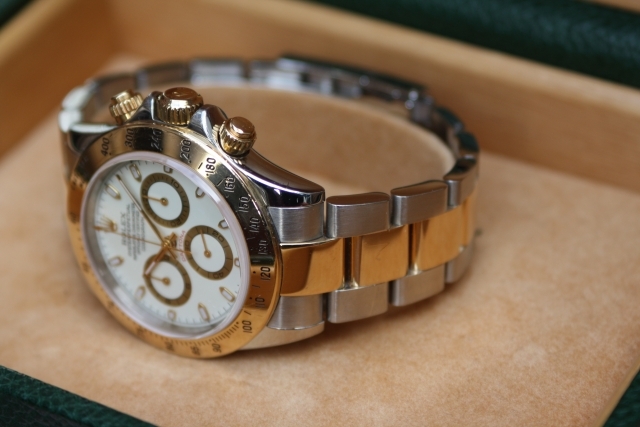 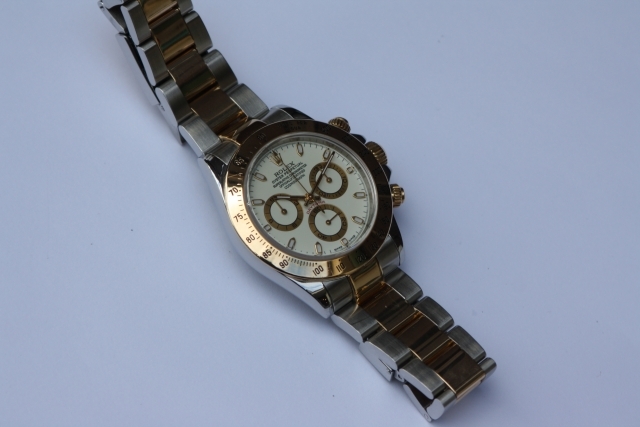 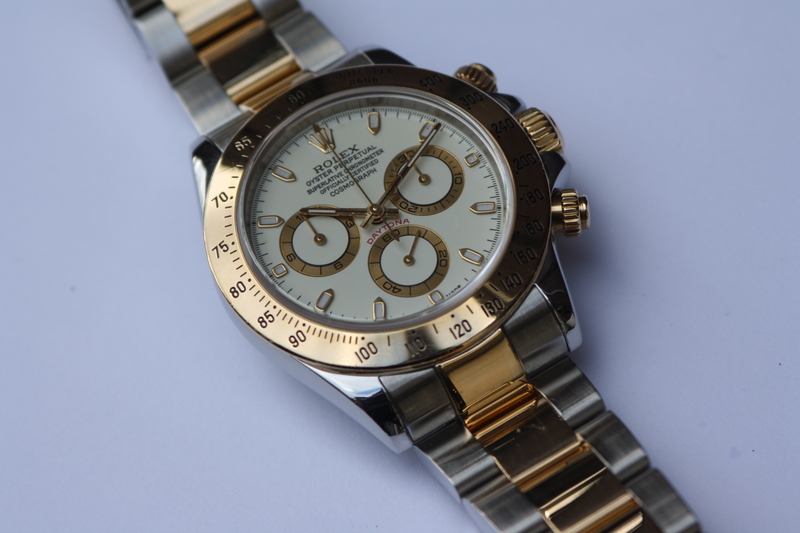 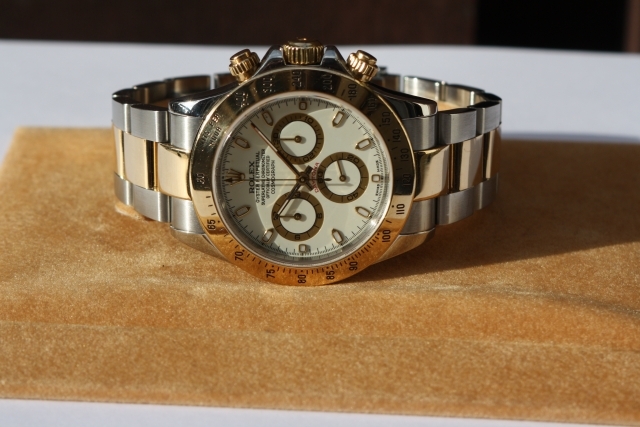 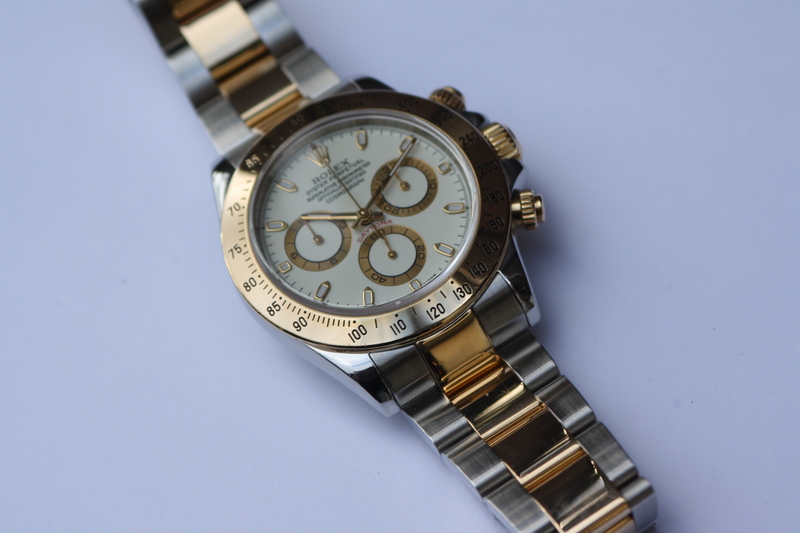 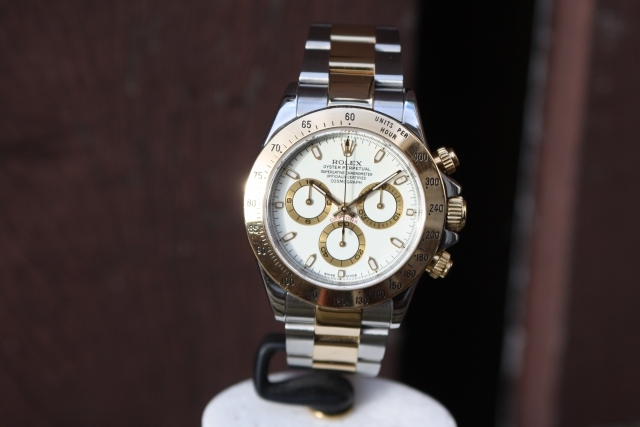 Rolex Cosmograph Daytona from 2002 in very good condition. 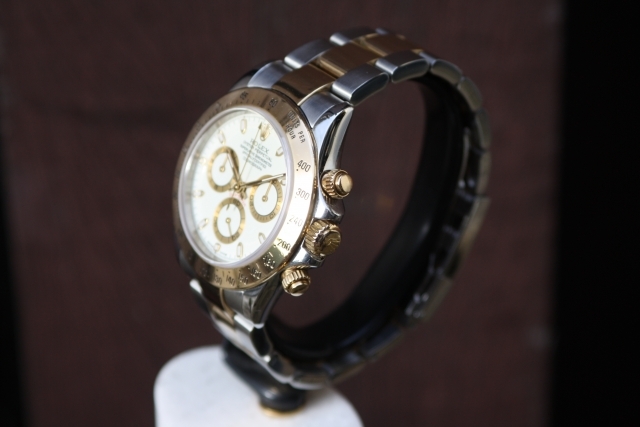 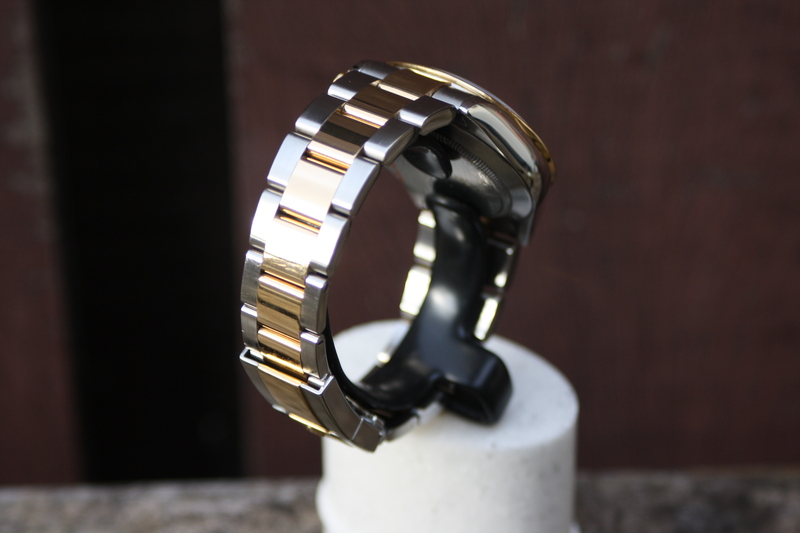 The watch condition is very good and recently serviced. 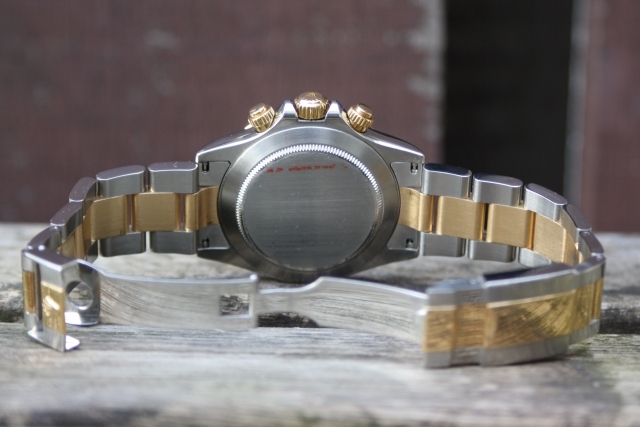 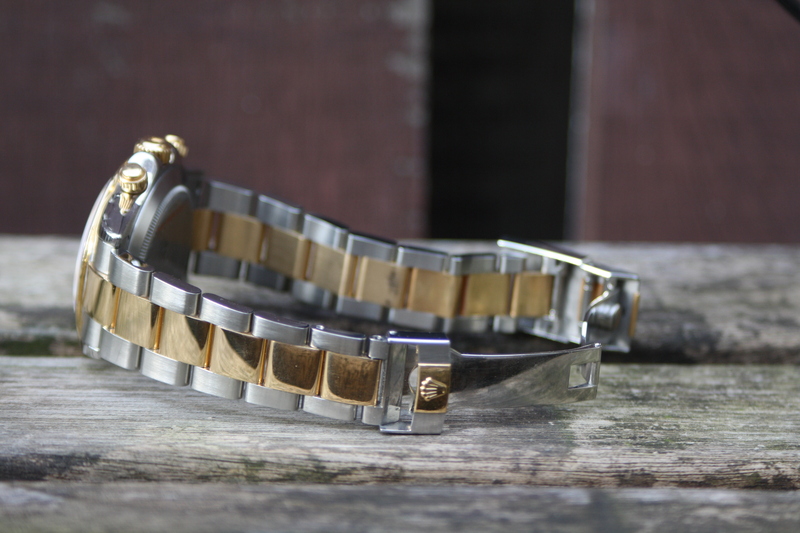 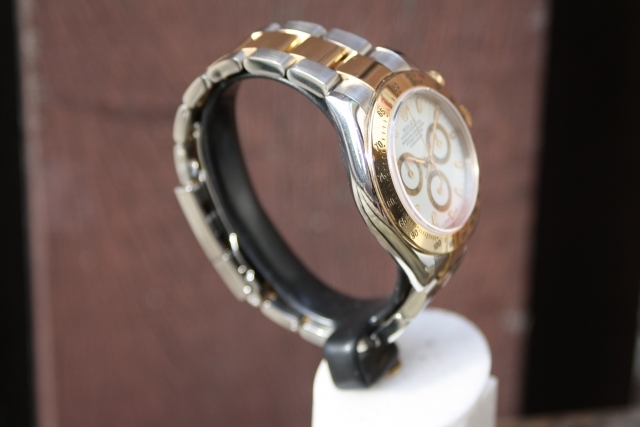 The dial of the watch shows some sings of wear and turned into a beautiful creamy yellow color. 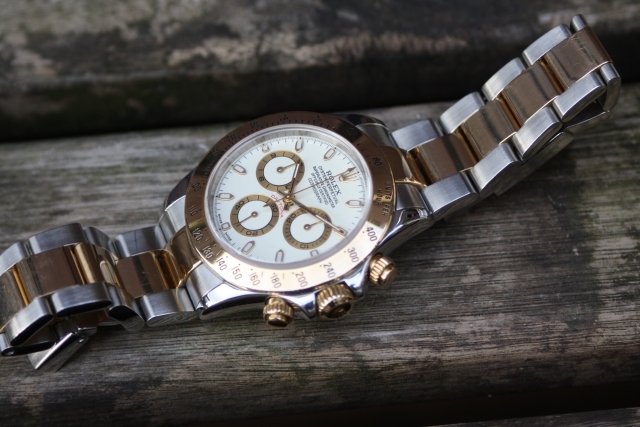 This seems to happen with white dials from the first series of the Daytona with 4130 movement (P,K and Y serials).